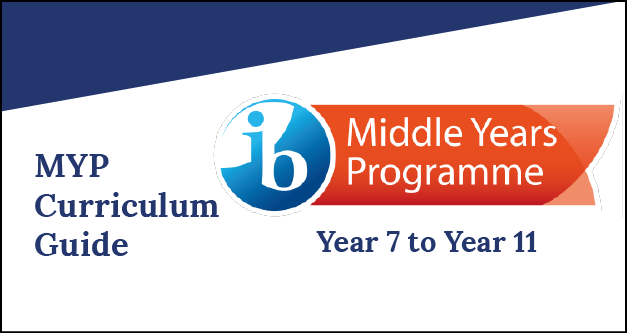 The International Baccalaureate Middle Years Programme (IB MYP) focuses on the understanding that students in this age group are developing skills that will help them to succeed in the rest of their academic and social lives. During this time, we recognize that they are particularly aware of social and cultural influences. The MYP strives to make the most of this time of growth to help students develop the capacity to become responsible for their own learning and to make informed decisions. 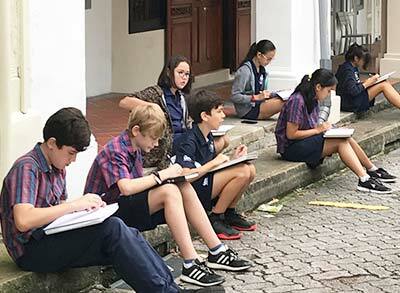 Our Middle Years Programme (MYP) is for students from Years 7 to 11 (Grades 6-10). It provides a framework of learning that encourages students to be creative, critical and reflective thinkers. The MYP emphasises intellectual challenge, encouraging students to make connections between their studies in traditional subjects and the real world. It fosters the development of skills for communication, intercultural understanding and global encouragement - essential qualities for young people who are becoming global leaders. Through the final two years of the MYP, Years 10 and 11, students complete the Personal Project. 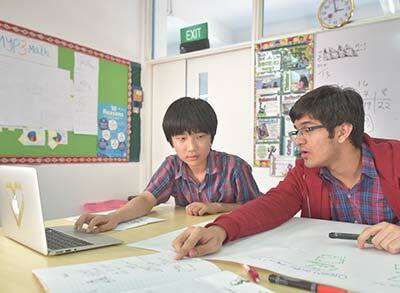 The Personal Project is a year-long, independent research project undertaken by all final-year MYP students. All MYP students take part in Service as Action as well. Language and Literature is aimed to provide students with the skills to respond to a variety of texts, develop a critical approach to literature, communicate formally and appropriately in various situations through written and oral forms, understand their own culture and those of others, as well as gaining a deeper understanding of human nature, and read for enjoyment. The ability to communicate in a variety of modes in more than one language is essential to the concept of an international education that promotes multilingualism and intercultural understanding. An overarching aim of teaching and learning languages is to enable the student to become a critical and competent communicator. The focus is on the English skills needed to communicate independently and confidently for academic and social purposes. Language Acquisition develops and enhances the four skills of speaking, listening, writing and reading. Assessment throughout the year will be based on task-specific rubrics. In place of Language and Literature these students, who all take Language Acquisition English, also have EAL Support and also have Mother Tongue support lessons weekly. They do not take a third language such as French Language Acquisition or Mandarin Language Acquisition. The Language Acquisition English course is designed to concentrate on essential English language skills that will allow them to develop towards greater language proficiency, and become stronger academically. These EAL support lessons are designed to support the students in accessing other subjects in the curriculum. They will also receive specific, personalised EAL Support report cards alongside their subject reports. Our Japanese students receive EAL support differently than others, as we offer dedicated Japanese Language and Literature classes. Mandarin Language Acquisition will develop the student's’ ability to communicate information, ideas and opinions, provide access to varied sources of information and enable the student to develop an appreciation of host country culture. French Language Acquisition course introduces the French language to beginner learners. It encourages students to use French effectively as a means of basic communication and offers insight into the cultural characteristics of the Francophone world whilst fostering curiosity, lifelong interest, and enjoyment in language learning. Individuals and Societies encourages learners to respect and understand the world around them and equips them with a skills base appropriate for a learner in the 21st century. Individuals and Societies involves inquiring into historical, contemporary, geographical, political, social, economic, religious, technological and cultural contexts that influence and have an impact on individuals, societies and environments. This encourages learners, both students and teachers, to consider varied local and global contexts. Through the Individuals and Societies framework, knowledge and conceptual understanding, as well as thinking critically and communication, contribute to the development of the student as a whole. It is intended that MYP Mathematics students become competent users of the language of mathematics and begin to use it as a way of thinking, as opposed to seeing mathematics as a series of facts and equations to be memorised. It is also recognised that students can appreciate the intrinsic fascination of mathematics and explore the world through its unique perceptions. In the same way that students describe themselves as “authors” or “artists”, a school’s mathematics programme should also provide students with the opportunity to see themselves as “mathematicians”, who enjoy and are enthusiastic about exploring and learning about the subject. MYP Physical and Health Education aims to empower students to understand and appreciate the value of being physically active and develop the motivation for making healthy life choices. To this end, physical and health education courses foster the development of knowledge, skills and attitudes that will contribute to a student’s balanced and healthy lifestyle. The fundamental concepts of the vision in MYP Arts is to motivate, encourage, educate and enlighten through a meaningful, comprehensive, contemporary education to all our students. It’s vital that young Music students can learn and develop their confidence for public performance and presentations through the Singing and Performance elements of the course. Two major Arts nights in the year will be used to partly assess Music students in their performance skills to supportive family and friends. ​Drama students will develop awareness of dramatic structure and style. They learn how to organise a performance using a range of techniques. 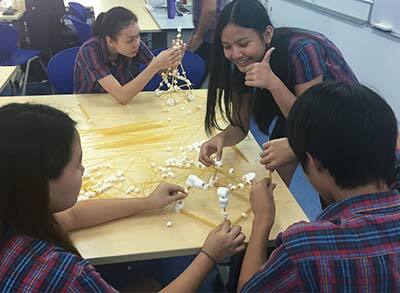 They are encouraged to develop skills in teamwork and collaboration. Through a range of activities they develop confidence to perform in front of others. They document their progress through the use of the developmental workbook which is created using shared Google documents and inserted and sourced photographs and images. They use this to reflect on their work and record ideas. Visual Arts focuses on art as visual communication. Students explore concepts in Art History and Theory gaining understandings of how to combine these foundational ideas with studio skills. The learning outcome is the ability to successfully create individual artwork which communicates a unique message. Pastoral lessons occur once per seven-day cycle and are linked with the homeroom. Both provide motivation and support for students. Lessons are designed to encourage teamwork and individual growth as well as foster school spirit. Activities are discussed and planned by students and the homeroom teacher. Students are encouraged to participate and to cooperate with one other. Throughout the year, there are also assemblies and other projects (like UN and Identity Project), as well as activities related to MYP Approaches to Learning (Communication, Social, Thinking, Self Management and Research), that run in conjunction with the Pastoral Program. For details on the MYP Curriculum Guide, click here. For the MYP General Regulations as outlined by the IBO, click here. 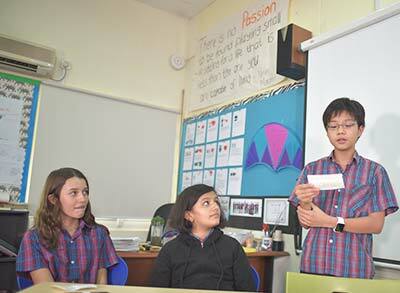 Service Learning is an integral part of the MYP and of life at Chatsworth International School. Service Learning starts in the classroom and extends beyond it. During their time in the MYP, students discover their place and role in communities, from the immediate family and school environment to the world at large. 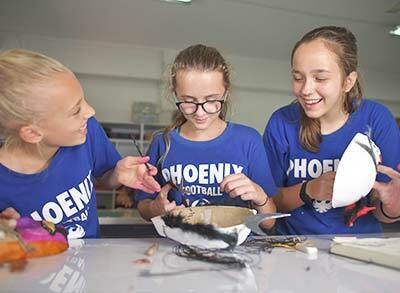 Throughout the MYP, students are encouraged to make connections between the things they learn at school and in their surroundings, as well as thinking about what they can give the community and the benefits the community can bring to them. Having gained awareness about the community, the next step is to take action and to become involved in Service Learning activities and projects.